Georgia Republican gubernatorial candidate Brian Kemp greets supporters during a campaign stop at Daniel Field in Augusta, Ga., on Monday. Georgia’s gubernatorial race wasn’t an election. It was an attempted strong-arm robbery. That’s because Brian Kemp — both the Republican candidate and, as secretary of state, the man running the elections — used every cheap, dirty, and probably illegal trick in the book to rig his tight contest against Democrat Stacey Abrams. If Abrams wins, she’ll make history as this nation’s first African-American woman governor. If Kemp wins, he’ll make history for engineering the most blatantly racist voter suppression tactics since the vicious days of poll taxes and so-called literacy tests. Once Abrams won her party’s primary, Kemp took a kitchen-sink approach to derailing her campaign and, especially, voters of color. On Election Day, he upped the ante. 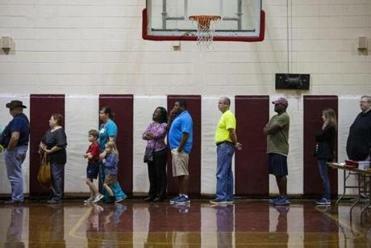 Long lines and malfunctioning machines marred the early hours of voting in some precincts across the country Tuesday, with some of the biggest problems were in Georgia. If recent history is any indication, Kemp will keep those voices silent. Several precincts in one Georgia county suffered so many technical glitches that voters were forced to use paper ballots. Others waited more than four hours in lines that twisted around voting sites. NBC News reported that, in another location, voting machines ran out of battery power because they had not been equipped with power cords. It was so chaotic that a judge ordered several precincts to extend their voting hours. Of course, at least those who received paper ballots were able to vote. Hundreds arrived Tuesday at their designated sites only to find their right to vote denied. Under Kemp, more than 1.4 million people have been purged from the state’s voter rolls. This year, he suspended 53,000 voter registration applications, 70 percent of them belonging to African-Americans. They were victims of the state’s “exact match” policy, meaning their registration forms did not precisely match personal information in government databases. 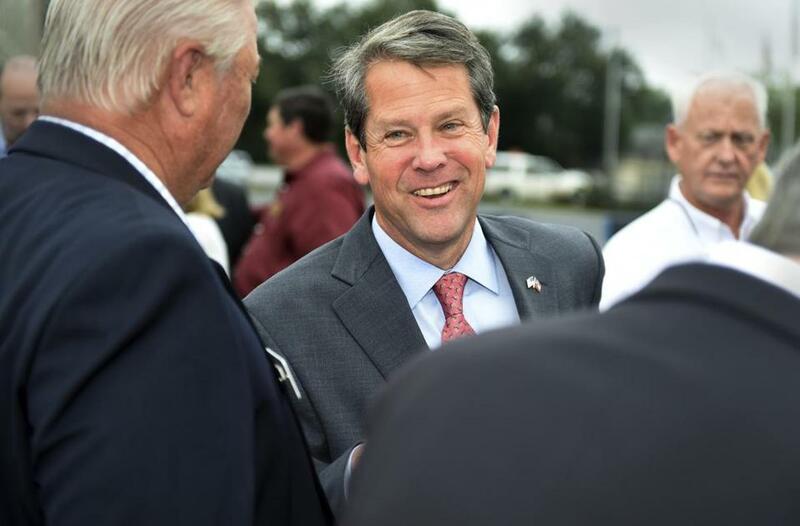 After an expected uproar, Kemp’s office claimed those people would be allowed to vote. That, of course, was a lie. Kemp had his thumb on the scale all along, and never had any intention of removing it. Allowing Kemp to oversee the election is like Bill Belichick serving as both a head coach and referee during a New England Patriots game. When Kemp refused to recuse himself, corruption was inevitable. For many people of color, this was a realization of every fear harbored since the US Supreme Court, in 2013, effectively gutted the Voting Rights Act of 1965. States with long histories of discrimination quickly slipped back into their old, ugly ways, not even bothering to hide their racist intentions. Voter fraud is a Republican myth. Voter suppression, however, is real, undemocratic, and anti-American. For pillaging Georgia’s electoral process, Kemp doesn’t belong in a governor’s mansion. He belongs in prison.